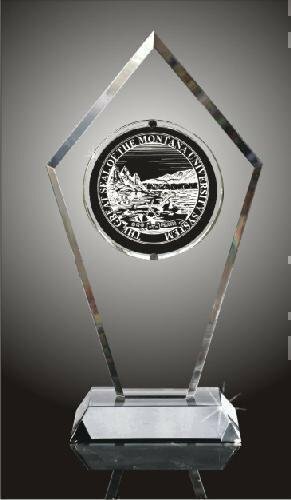 This impressive acrylic award is one of our most prestigious awards. It comes with a thick acrylic slant side base. The center dot is available in many colors.